Pulled this bottle from the cellar for mid-week dinner with grilled burgers. This label was produced by noted winemaker Marco DiGuilio, whose wines we own under his own and several other labels dating back two decades. The vineyard site sits high in the Mayacamas Mountains on the western side of the range on the eastern slope overlooking the Sonoma Valley side of the mountain. It is named for the steep slope of the mountainside which contributes to extreme drainage which contributes to the stressing of the vines resulting in rich concentrated grapes. This is a collaboration project of Marco and Timothy Milos, successor and consulting winemaker for the property. 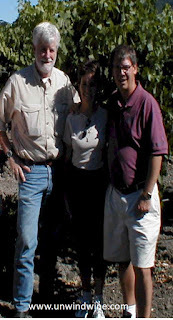 Timothy has worked for Stags Leap, Opus One, Anderson Vineyard, and Cliff Lede Vineyards. He works with Marco DiGiulio on projects in Napa and Sonoma counties, making wine for several luxury brands. 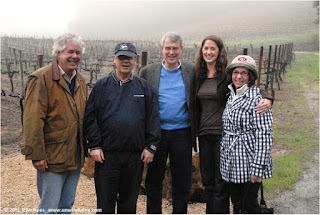 In addition to Hidden Ridge Vineyard in Sonoma County, he also works for one of our favorite Mayacamas Mountain-top discoveries, Rubissow Wines, whom we visited during our Napa Valley Mt Veeder Wine Experience in the Spring of 2011. 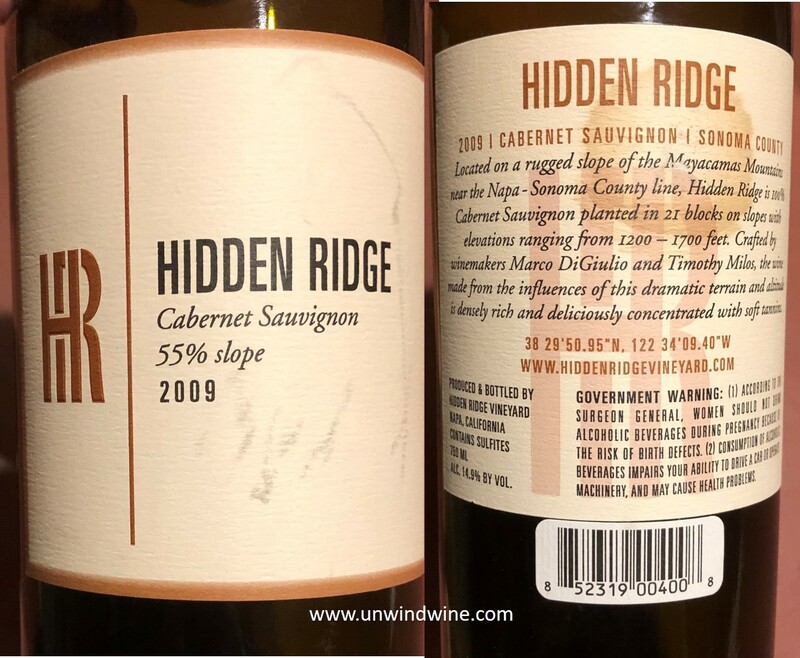 Hidden Ridge Vineyard is nicknamed, the "Impassable Mountain" because it took ten years to develop due to the 55% slope of the ridgetops. The Hidden Ridge Vineyards consist of 21 blocks of Cabernet Sauvignon in some of the most isolated areas of the Mayacamas Mountain Range along the Napa-Sonoma County line - located at 38 29'50.95 N, 122 34'09.40 W.
In an enclosed valley on steep mountainside slopes with eastern, southern and northern exposures. The terraced slopes and lean soils challenge and stress the vines resulting in small - berried intense fruit. I first discovered this wine at Morton's Steakhouse in Crystal City, Arlington, near Washington DC where it was available by bottle or by the glass. During the ensuing years we enjoyed the 05, 06 and then the '07 vintages there. We also picked up the '05 at BRIX in Napa and tasted at dinner during our Mt Veeder appellation trip in the Napa and Sonoma Mt Veeder area. 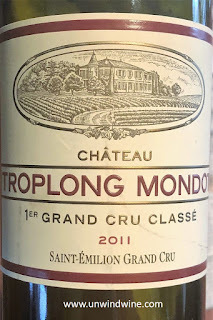 Like the earlier vintages this is dark garnet colored, full bodied and concentrated rich with layers of dark berry fruits with notes of anise, mocha and tones of that Mayacamas signature cedar and camphor or eucalyptus before turning to dried herb, tobacco and tea on the lingering silky tannin finish. Les Tourelles de Longueville is the second wine of Château Pichon-Longueville Baron, a Second Growth estate of the Pauillac appellation. Les Tourelles is named after the château’s distinctive turrets. In the 19th century the impressive looking chateau with multiple turrets and grand grounds was part of a larger estate that included Chateau Pichon-Longueville Comtesse de Lalande. In 1850 the estate was divided in two - the current Pichon Longueville Baron, often nicknamed Pichon Baron, and Comtesse de Lalande. The domaine belonged to the Pichon family until 1933 when it was sold to the Bouteiller family. It was managed by their descendants for the next fifty years until it was sold to the French Insurance conglomerate AXA Millésimes in 1987. AXA invested in a significant renovation program of the château, the wine cellars and the technical installations. They hired Jean-Michel Cazes of Lynch-Bages to supervise the vineyards and winemaking. The property has 168 acres of vineyards that produce about 35,000 cases a year. The blend is usually about 70% Cabernet Sauvignon, 25% Merlot and 5% Cabernet Franc. This property’s wines are nowadays considered amongst the most renowned of Pauillac. Les Tourelles de Longueville, formerly the second wine, has become a separate cru. Les Tourelles de Longueville comes from a vineyard that is adjacent to the legendary First Growth Château Latour. The Pichon's were top wines of the just released 2016 vintage and were highlights of the recent release tasting at the UGCB. This second wine of the portfolio can represent great value in excellent vintages when all boats rise with the tide. This was tasted from a 375ml half bottle. Dark garnet colored, medium bodied, black fruits with leather, earth, tobacco, herbs and cigar box - an ideal compliment to midweek grilled steak dinner. We tasted and acquired this wine at the estate high atop Diamond Mountain during our Napa Valley Wine Experience back in 2011. 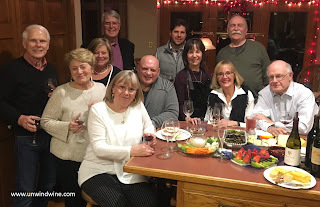 Our visit to Diamond Mountain estate at the top of the mountain, sitting at over 2100 feet elevation was one of the highlights of our wine tour. 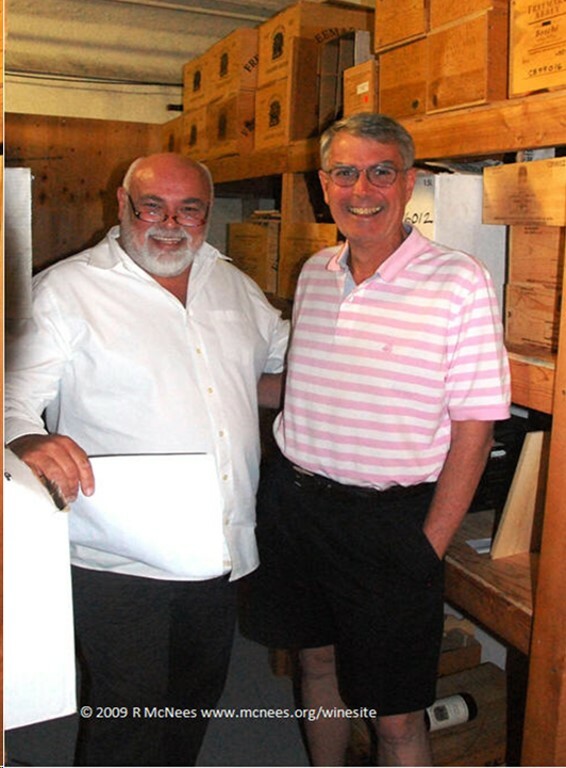 We were hosted by the late Freddie Constant, founder and proprietor (shown right). The property is among the oldest wineries in the valley with history dating back to the late 1800's. For a casual Saturday night wine dinner at home, I wanted to open a special bottle and this label certainly brings back fond memories of a magnificent wine experience. Its also a premium label worthy of and befitting such an occasion, even in this somewhat 'off' vintage. As is customary, I opted for one of the older bottles in our collection of half a dozen vintages of this label. I also selected this 'lesser' vintage as it is most likely the least age-worthy and hence should be consumed before some of the more durable vintage releases. Some bottles of this vintage are at or nearing their end of life and need to be consumed. While at the end of or past its prime drinking window, this bottle was still holding its own, maintaining its fruit and some of its terroir character and profile. Dark garnet colored with some slight bricking in color, medium bodied, the black fruit is giving way to notes of earth, spice, leather and hints of vegetable with modest tannins. Time to drink up but this was still pleasant drinking. 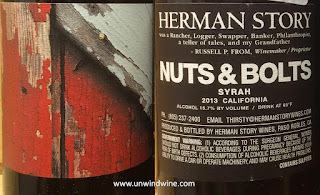 Dining at son Ryan's for dinner, he opened this Herman Story Nuts and Bolts Syrah. I own several vintages of this wine including this vintage but have not tasted it so this was a treat to get a highly anticipated preview of this label. 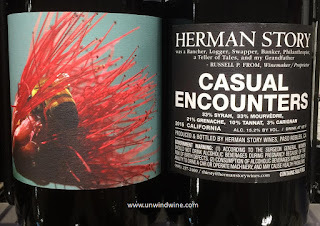 This label from Russel From, Herman Story winemaker and proprietor is a tribute label from one of those producer's with a sense of humor. This is a unique, creative and imaginative branding strategy. The entire portfolio of Herman Story wines have artistic photo art labels with various clever whimsical names such as Bolt Cutter, Milk & Honey, Casual Encounters, On the Road and this one, Nuts and Bolts, and a white Rhone blend called Tomboy, a 'white wine for the red wine drinker'. 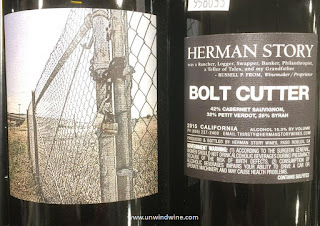 Herman Story also offer several vineyard designated select labels as well. 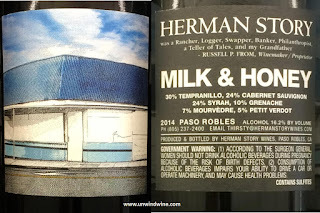 I am normally not a huge fan of Paso Robles wines and I know this label regularly gets highest ratings, but this exceeded my expectations on all levels. I can't wait to delve deeper into the portfolio and sample more of their wines. This is 100% Syrah sourced from estate vineyards and select growers from the greater Central Coast region. This is a big bold expressive powerful bruiser that packs jammy flavorful fruit but is approachable, delicious and delightful to drink. Its not for the feint of heart but is smooth enough for casual sipping, or stands up to hearty cheeses and BBQ. This vintage release got 96 points from Robert Parker's Wine Advocate and 92 points from Vinous. Robert Parker writes, "A wine that stood out in my Paso Robles tasting was the 2013 Syrah Nuts and Bolts. Made from 100% Syrah that saw 16 months in 70% new French oak, it's the greatest vintage of this cuvee I've tasted and it offers off the hook notes of creme de cassis, melted licorice, caramelized meats, pepper and crushed flowers. Full-bodied, voluptuous and hedonistic, it's also seamless and balanced, with ultra-fine tannin, no hard edges and blockbuster length." Winemaker Russell From says, "It is a no holds barred expression of Syrah that chases flavor at nearly any cost." Dark inky purple, full bodied, concentrated structured full flavorful fruits but nicely balanced and approachable, black and blue fruits with notes of spice, cherry cola notes, hints of black olive and pepper. 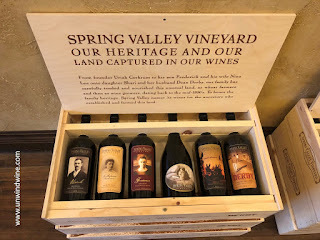 During our appellation visit to the Walla Walla (Washington) wine region last autumn, we visited the Spring Valley Vineyard tasting room in downtown Walla Walla, then ventured out to the vineyards and winery northeast of town. There, we met Dean Derby patriarch, and husband to Shari Corkrum Derby, ancestor and co-owner of the family business. 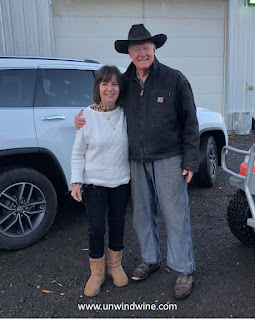 Meeting Mr. Derby was one of the highlights of our Walla Walla Wine Experience. Spring Valley Vineyard produces wine from 100% estate-grown fruit, a relative rarity in Washington. Washington State and regional powerhouse Chateau Ste. Michelle Wine Estates purchased the winery and the brand from the Derby family, but they continues to own and operate the vineyards. 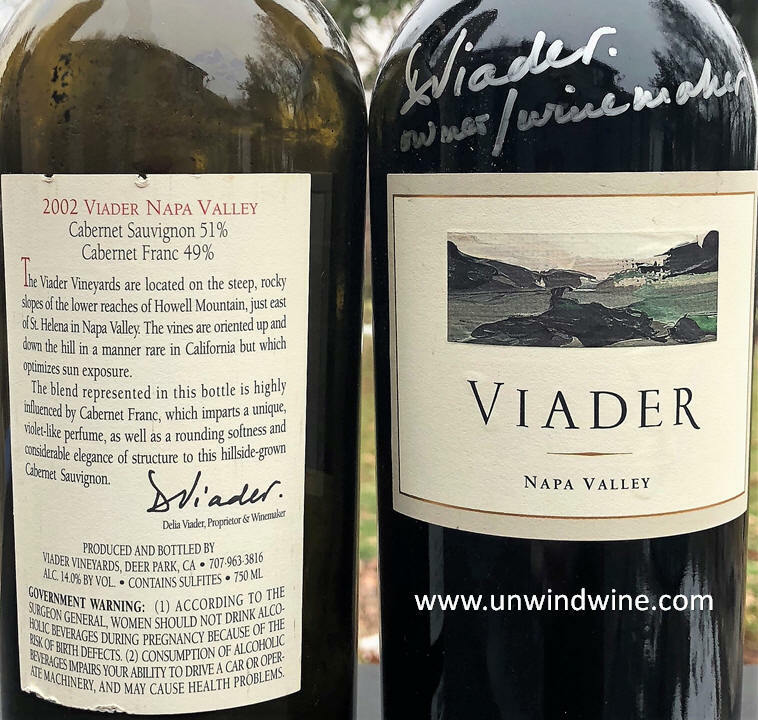 We own close to a decade of vintages of this label, the first that we discovered of the portfolio of wines, all named for a member of the Corkrum family dating back to the founder Uriah Corkrum for which this label is named. Current vineyard owner Shari Corkrum, is Uriah Corkrum's grand-daughter. He began farming in the area and acquired the land now known as Spring Valley in 1910. 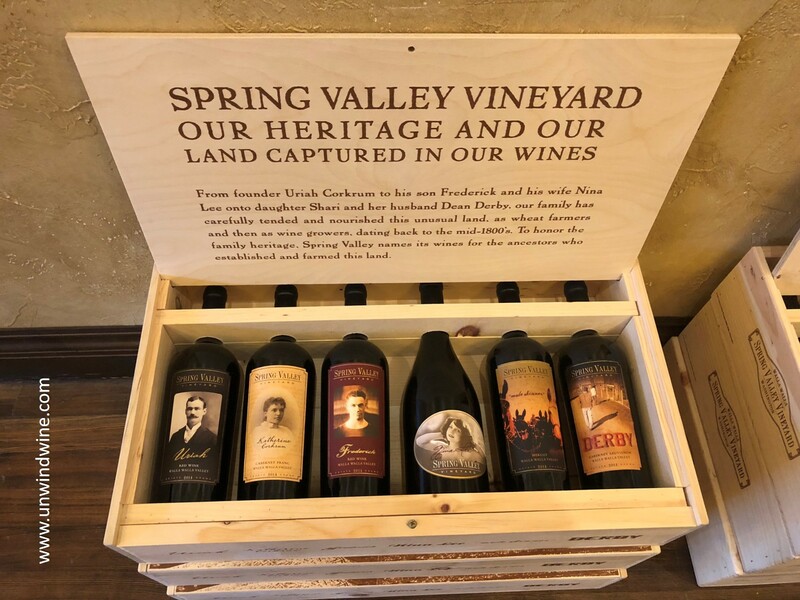 Shari and Dean Derby planted the first grapes at Spring Valley in 1993 and the first vintage of Estate grown and bottled Spring Valley Vineyard wines were produced with the 1999 vintage. All the wines are named for ancestral members of the family going back to Uriah, his son Frederick and others. This label is a Merlot based blend of Bordeaux varietals, the 2008 vintage is a blend of 53% Merlot, 36% Cabernet Franc, 8% Petit Verdot and 3% Malbec. This was aged for 18 months in 60% new French oak. Dark garnet colored, medium full bodied, black raspberry and black currant fruits accented by cedar, tobacco, notes of licorice and cinnamon spice. This received 93 points from Wine Spectator and 89 points from Robert Parker's Wine Advocate. 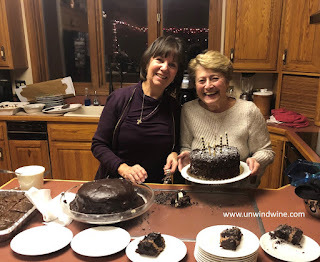 For grandson Miles' first birthday, Erin and Johnnie hosted a gala birthday dinner that included pasta, chicken marsala, italian beef and peppers and, of course, birthday cake! I brought from the cellar an easy sipping white, Arrowood Sonoma Chardonnay, and a red, Goldeneye Pinot Noir. We're big fans of Arrowood, mostly known for Cabernets from across Sonoma County. This Chardonnay is like their Cabernet labels from the broader appellation of Sonoma County, offering good value QPR (quality-price-ratio). The Arrowood Estate Chateau and winery in lower Sonoma Valley just above the town of Sonoma is a favorite stop during our visits to the area. 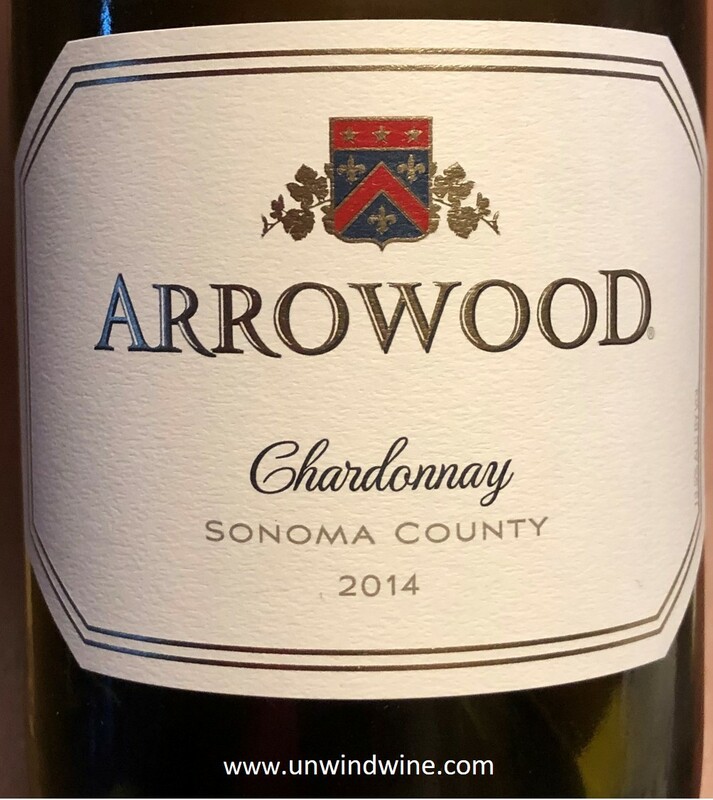 This is a broad appellation blend of select Chardonnay from across Sonoma County, released in certain years with large excess production yields of suffcient quality, this being the last release of this label. The fruit is sourced from the Russian River Valley (40%), Sonoma-Los Carneros (35%), Sonoma Coast (20%), and Sonoma Valley (5%). The Sonoma County and the Sonoma Coast growing regions are known for warm days tempered by morning fog and afternoon breezes coming from the Pacific Ocean. This climate is well suited to the more delicate, early-ripening variety Chardonnay allowing the fruit to develop slowly and consistently, resulting in wines of full flavor, complexity, and character. This Chardonnay presented dark golden color, bright crisp acid, balanced round fruits of apple, peach, orange and tangerine with hints of vanilla and honey and a touch of oak. This is an excellent QPR value with a release price around $30 but found at the wine super stores for near $20. For easy sipping with dinner, I pulled this Anderson Valley Pinot Noir from the cellar from the anniversary year of Erin and Johnnie to commemorate Miles' birthday. 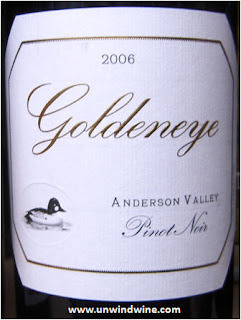 Goldeneye is one of the broad portfolio of brands of the well known Duckhorn of Napa Valley. Goldeneye Winery was founded in 1996, years before the Pinot Noir boom that emerged on the scene over the next decade in California. 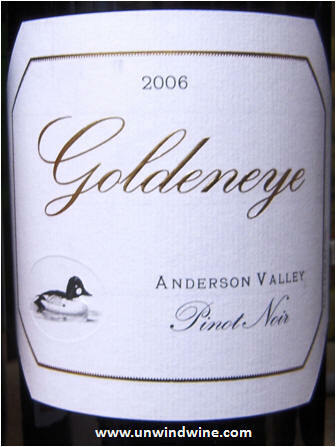 Goldeneye was founded 1990, when, after fifteen years making Bordeaux-varietal wines, Dan and Margaret Duckhorn embarked on producing a Pinot Noir that would reflect the true terroir expression of California Pinot Noir, one that might rival their acclaimed Merlots produced at Duckhorn Vineyards in Napa Valley. To produce such a Pinot Noir, they turned to the cool-climate environs of Anderson Valley in Sonoma County running from the west, only a few miles from the cool Pacific Ocean, eastward twenty miles to the town of Boonville. Goldeneye is crafted predominantly from estate vineyards to embody the unique terroir of Anderson Valley reflecting what they refer to as the wind, water and fog of remote Sonoma County. The vineyards span a range of eight miles and embody a combination of warm sunny days and cool foggy nights and mornings that allow the grapes to mature slowly and to develop to their native varietal character. The 2006 vintage was the 10th harvest of Anderson Valley Pinot Noir. Garnet colored, medium bodied, currant and dark cherry fruits with notes of cedar, anise and hints of cinnamon spice and herbs. Wine Enthusiast gave this 91 points, Wine Spectator 90 points. 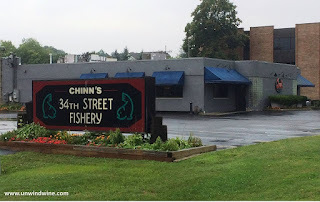 We dined at Chinn's Fishery Seafood in Lisle (IL) and took BYOB a robust full bodied Nickel & Nickel Chardonnay to pair with the 'Jet Fresh' seafood. 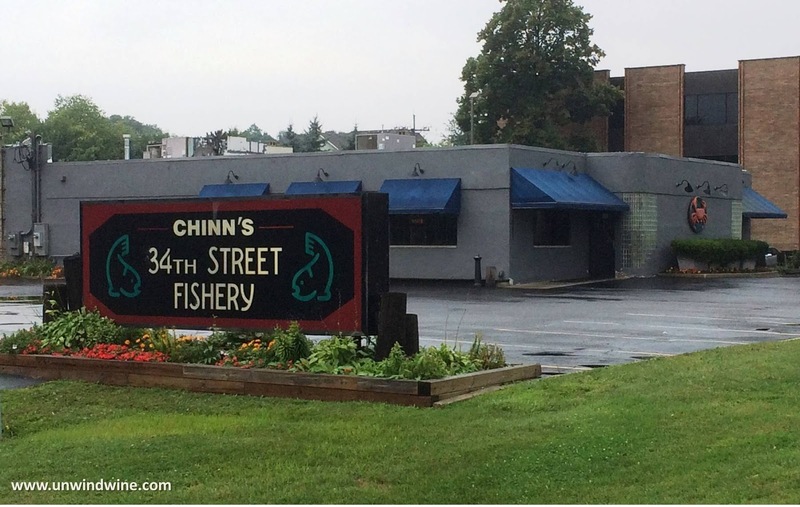 Chinn's offer seafood that is flown in daily from the various seaports around the world. They actually post on the wall the bills of lading from the flights from Alaska, Hawaii, Florida, the West Coast and East Coast ports. This provides the freshest specialties; fish, crabs, lobsters, shrimp, scallops and more, flown in fresh daily, bringing in the days' catch at the ports, packed and served within 24 hrs. Stan & Kim Chinn and General Manager, Robert Blaese, have been operating at the Lisle location since 1995. Tonight's "Fresh Fish - Flown in Daily" menu, shown left, featured Hawaiian Monchong, Hawaiian Ahi Tuna, Arctic Char, Florida Swordfish, Pacific Grouper and Holland Dover Sole. They also feature daily their "7-Way Fish" that can be prepared any one of seven ways: chargrilled, blackened, batter fried, sauteed, sauteed oriental, baked grecian, and stir-fried with vegetables. Tonight's 7-Way Fish feature was Hawaiian Opah. Chinn's was lively and hopping when we arrived for our six o'clock reservation. We were seated promptly. The restaurant was full and most tables turned over and were filled for a second seating as we were leaving. The atmosphere is bright, well lit with a marine motif and atmosphere somewhere between a coffee shop and harborside seaport bar and eatery. I believe it was the best dinner we've had there in the twenty years we've dined there, with the impeccable food, hospitality and service. They also feature the traditional seafood faire of lobster, crabs, shrimp, mussels and a raw bar of fresh oysters. Steaks and pasta selections are available including a broad surf and turf set of options. Our server Stephanie provided attentive, friendly, knowledgeable and professional service. I opted for the Holland Dover Sole which was delectable, grilled in lemon white wine butter sauce. Linda had the Crab Cakes, and Sean and Michelle the Daily Special Hawaiian Opah. All were excellent. I featured Dover Sole in these pages recently that I had twice in NYC at an upscale fine-dining establishment. There it was $70 for the entree. Tonight's was better! To pair with our diverse seafood dinner, we brought from our cellar BYOB Nickle & Nickle Russian River Valley Sonoma County Chardonnay. Big, full bodied and robust, it was a perfect pairing. We toured the Russian River Valley during our Napa Sonoma Wine Experience 2017 year before last. We stayed on the coast in Bodega Bay and traveled the back roads between there and Santa Rosa to witness and experience the climate and topology that comprises the notable terrior of the area. This is from the Green Valley AVA in Russian River Valley where, the grapes benefit from a cooling coastal influence that helps them ripen slowly and develop complexity. From the Green Valley AVA site: "Green Valley is one of the smallest appellations in Sonoma County. It lies in the southwestern part of the Russian River Valley, bounded by the towns of Sebastopol, Forestville and Occidental. It is very tightly delineated, both geographically and climatically, and is the most consistent and distinctive of any North Coast appellation in terms of soil, climate and flavor. The fog is Green Valley’s trademark." From the winery: "The 2013 Nickel & Nickel Stiling Vineyard Chardonnay is consistent from year to year. Passion fruit and floral aromas offer a mere hint of what’s on the palate: flavors of Muscat and Meyer lemon enhanced by flint and stone. 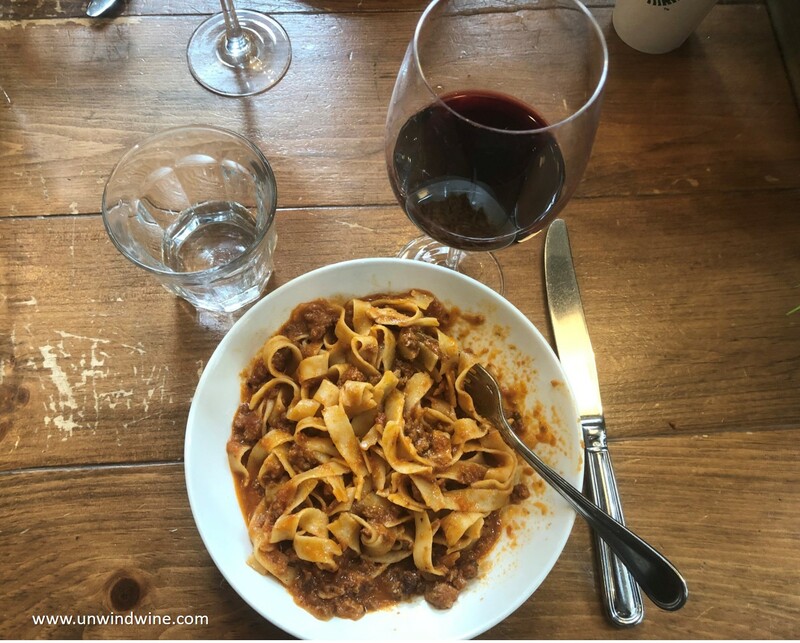 A pleasant oiliness adds suppleness to the mouthfeel, but the vibrant acidity cleanses the palate and adds a succulent quality that makes one eager for another sip." 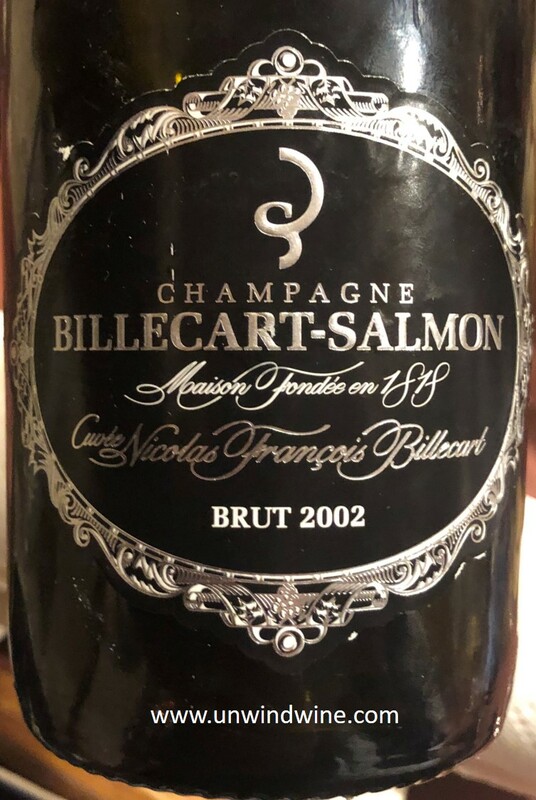 This was golden butter colored, full bodied, very forward, almost obtuse with its firmness and intense buttery and oaky tones and structure that almost overpowers the fruits - passion fruit, melon, floral, lemon, flint and stone. 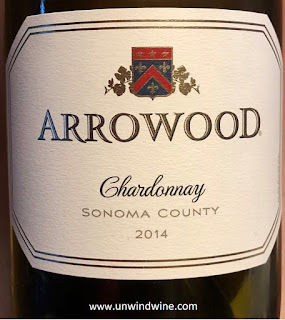 Linda liked it a lot, classic (over-the-top) California Chardonnay style, I found it a bit much, almost overpowering for my more delicate sole entree. Home, Friday night after an incredibly busy and hectic week, I was looking forward to relaxing with a nice glass of wine. Mindful of cellar management, to open an older bottle late, approaching, or even past it's drinking window, lest it deteriorate or diminish for future enjoyment, I pulled this 1996 Napa Valley Merlot from Paradigm. Ren Harris, Linda and Rick. We tasted and acquired this wine during a visit to the Paradigm Estate and vineyards with proprietors Ren and Marilyn Harris during our Napa Valley Wine Experience back in 1999. Ren and Marilyn had owned and operated various properties in Napa Valley since 1964 and purchased the Paradigm property in 1975. The '91 release was the inaugural vintage for Paradigm. The fifty-five acre property lies in the Oakville appellation and consists of fifty acres of vineyards planted in Bordeaux varietals - Cabernet Sauvignon and Merlot from the beginning, with Cabernet Franc and Petit Verdot being added a few years later. 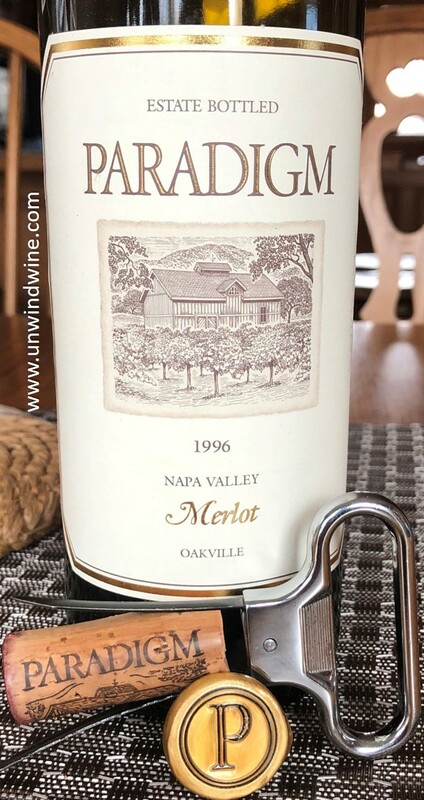 We still hold nearly a case of the Paradigm Cabernets we acquired at that time. We held a mini vertical (series of vintages of the same label) spanning vintages from 1991 up to 2004. We've consumed all our vintages from 1991 thru 1994 but still hold nearly a decade of vintages. Paradigm wines are all Estate bottled, meaning all the grapes are sourced from their fifty acres of vineyards there on the property. 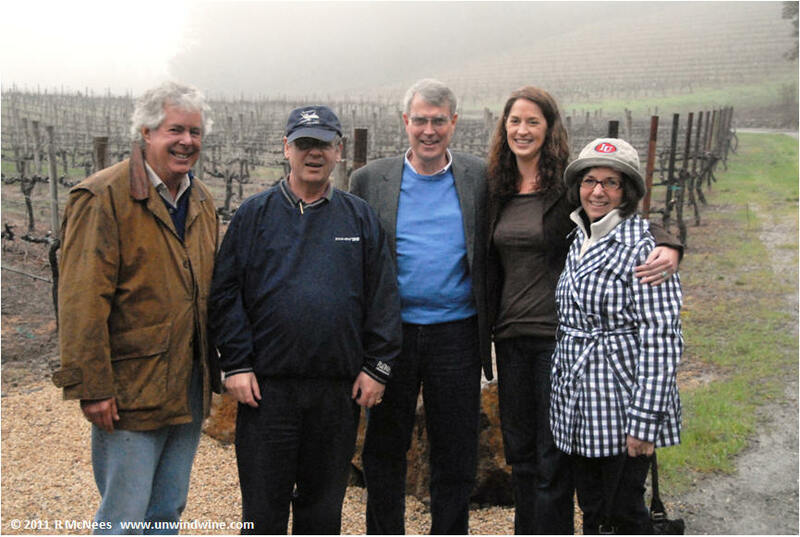 The Paradigm winemaker is the legendary Heidi Barrett who has been there since the beginning. Tonight, we opted for this Merlot for slightly more casual sipping. 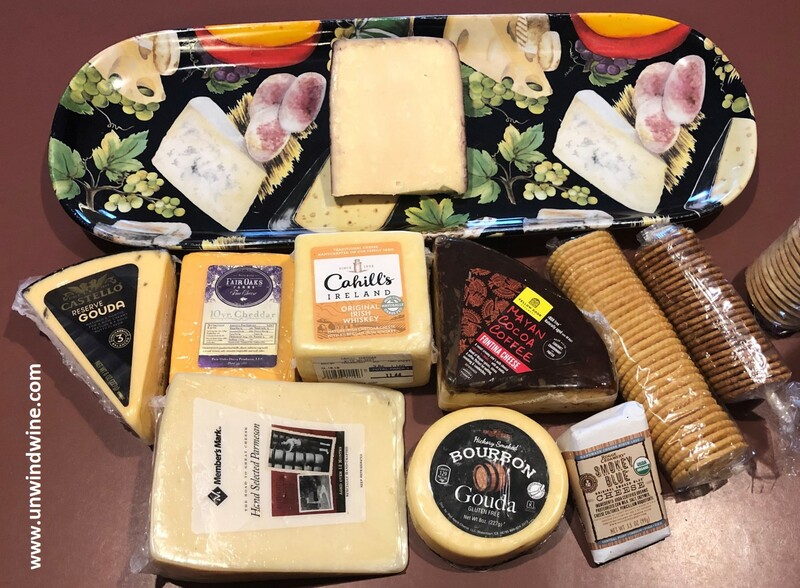 We enjoyed this with a selection of artisan cheeses including the remains of the vintage aged 21 year old sharp cheddar from our OTBN tasting a couple weeks ago, and some marinated beef roast which was an ideal pairing combination. 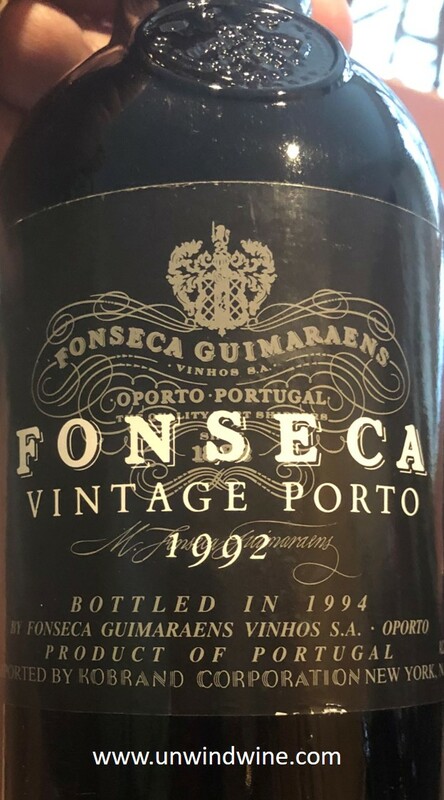 This is still drinking nicely at twenty two years, starting to show it age with only slight diminution, but past its prime and so time to starting consuming whats left in the cellar over the next couple of years. 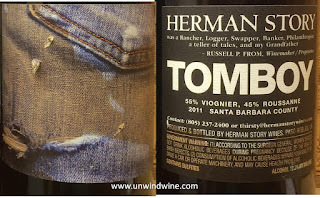 The cork was in fine condition but darkening to a tobacco color, there was ever-so-slight rust tinge color on the rim, and the fruits were starting to give way a bit to non-fruit tones of leather and tobacco. It was still very enjoyable and holding its own nicely. Garnet colored with the slight rust hue, medium bodied, blackberry flavors with tones of cherry and currant fruits, accents of tobacco, leather and a hint of spice turning to floral accents on a lingering smooth tannin finish. For Saturday Brunch in NYC Chelsea Flatiron neighborhood with Alec and Viv, we dined at La Pecora Bianca (The White Sheep) on Broadway at 26th. A bright vibrant lively setting that was perfect for a rainy afternoon. I ordered the Tagliatelle with beef and pork bolognese sauce. To pair with this entree I ordered the Il Bruciato Tenuta Guado al Tasso - a delicious perfect combination as each was embellished and enhanced by the other as a result. This is what is known as a Super Tuscan, made famous in the 70s when wine critics noted the quality rivaled that of high-end Bordeaux. The Bolgheri area was known for producing IGT and VdT wines based on the typical Bordeaux varietals. In 1994, the Bolgheri DOC appellation designation was created to recognize these quality wines. These wines tend to offer great QPR - Quality Price Ratio values. 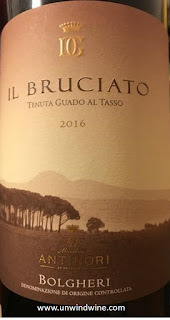 This 2016 Il Bruciato was delicious and provides great high QPR value. Amazingly, more than one million bottles were produced at this quality level. Pick up a case for great every day drinking wine that will also stand up to special occasions and quality drinking. This wine, “Il Bruciato,” which means “the burned” is the second wine of Antinori’s Tenuta Guado al Tasso, second to the flagship wine, “Guado al Tasso”, named after the large vineyard in Bolgheri in which the grapes are grown. This Il Bruciato, produced to be a more approachable and contemporary style of wine than the more traditional estate wine, is a blend of 60% Cabernet Sauvignon, 20% Merlot, and 15% Syrah. This was delicious in this food combination and was a great value. Bright ruby colored, medium bodied, smooth, polished for casual easy drinking with vibrant red and black fruit flavors accented by spice, mocha and smoke with elegant soft tannins on a moderate lingering finish. P.S. - Upon returning home I went out and purchased a bottle at Malloy's, our Village wine shop. We tasted it with marinated beef stew and it was good, but not as harmonious as with the pasta in our earlier tasting. Perhaps bottle variation, (they produced a million bottles! ), never-the-less, I reduced my rating for this bottle. Jame Suckling of Wine Spectator gave it 94 points. Meeting for a gala wine dinner during our weekend in NYC visiting Alec and Viv, we dined at L'Artusi in West Greenwich Village. For the occasion we pulled from our cellar a special bottle of our 'V' series of labels, signature wines for special occasions when we're together with Viviana. 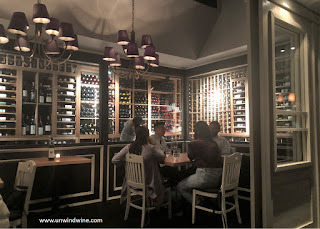 The diversity of the small plate dinner menu selections provided a tasting pairing experience for three wines with different styles and profiles - roasted beets, three pastas including the special highlight Torteloni with guinea hen and mushrooms, charred Octopus and sweetbreads. We took BYOB this winemaker signed bottle that we tasted and acquired at a winemaker dinner with owner/producer Delia Viader in Chicago back in 2004. 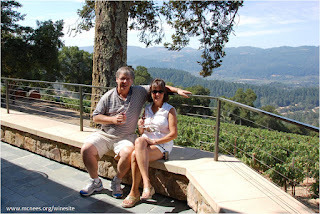 Our visit to the winery on the lower reaches of Howell Mountain overlooking Napa Valley (shown right) was a highlight of our Napa Valley Wine Experience back in 2008. 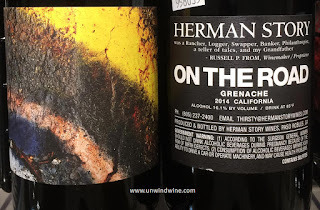 Winemaker Notes: Scents and flavors of that classic Howell Mountain terrior sweet currant, black cherry, raspberry and hints of plum and mocha with a long smooth polished finish. Garnet colored, medium bodied, blackberry and black raspberry fruits accented by spice, hints of black olive, bacon fat and dark mocha chocolate on a pleasant acidic moderate tannin lingering finish. Frank and Marylisa brought one of their favorite selections, this big bold El Nido. From Jumilla, Spain, this is a blend of 70% Cabernet Sauvignon and 30% Monastrell. This is the premium flagship El Nido label that consistently gets extraordinary ratings (96-100 points) from The Wine Advocate. This is a big bold concentrated fruit forward style that we love - much like a big Shiraz/Syrah; no wonder as this is a project of the Gil family of Jumilla and Australian Chris Ringland (R Wines) as chief winemaker who also makes big bold Aussie Shiraz's. 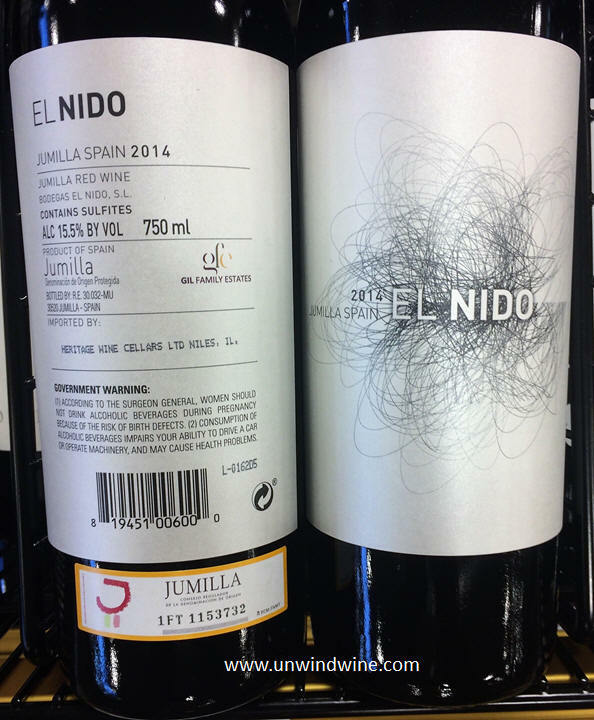 The second El Nido 'Clio' label offers a similar 'big wine' profile at a fraction of the price offering great QPR. This is a must buy each vintage as it too consistently gets highest marks. This El Nido wine is not for the feint of heart with its 16%+ alcohol and bold forward profile and style. We love this style with bold hearty cheeses or spicy pasta dishes such as some of our selections this evening. Bright ruby colored, full bodied, powerful, ripe and concentrated yet nicely balanced, forward bright black berry and currant fruits accented by expresso, black pepper, dark mocha, hints of cinnamon clove spices, cigar box and mineral with smooth approachable lingering tannins. Wine Spectator gave it 93 points. Interesting red blend from Sardinia. I had selected no less than three wines from the wine list shown on the website earlier, but couldn't find them on the actual wine list. I described my preference to the Sommelier and she presented this bottle. Ironically, we tasted this exact label at Italian Village in Chicago last year. Bright ruby colored, medium full bodied with bright, vibrant, bold and expressive forward sweet cherry and black currant fruits, integrated with notes of earthy spice, herbs and leather, bright acidity but moderately smooth tannins. 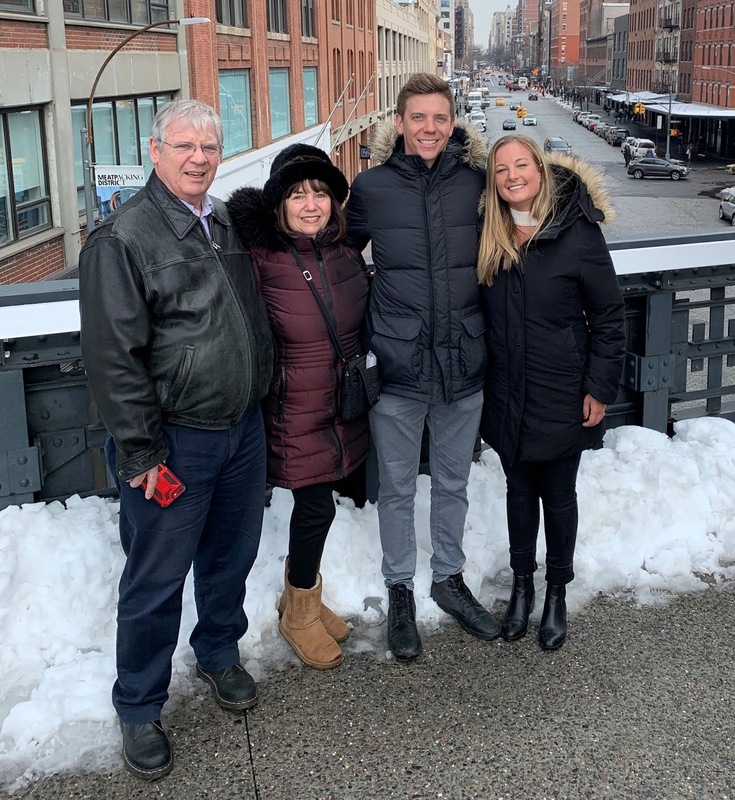 Visiting son Alec in his tony flat in Chelsea, NYC we went to his neighborhood wine merchant and picked up several bottles for dinner and casual sipping for the weekend. One of our favorite premium selections for special occasions such as this is Mollydooker Carnival of Love. This was fabulous with a selection of artisan cheeses before dinner - sharp cheddar, blue and brie with fig jam. The year 2014 was quite a year for Mollydooker and the Carnival label, the 2012 Carnival was recognized as the #2 Wine in the World and was named Winestate's Wine of the Year for 2014. Dark inky purple colored, full bodied, firm structured backbone with intense concentrated black and bluc fruits accented by creme de cassis, anise, violets, blackberry liqueur, and hints of mocha, crushed mint, and black peppercorn with an exceedingly long finish. While bold at 16.5%. alcohol, this still is approachable and nicely balanced. "Luscious cherry, blackberry and plum jam fruit flavours marry together, forming this powerful yet elegant Shiraz. Made from a selection of McLaren Vale’s premier grapes, its deep colour and fragrant nose leads to quite a voluptuous palate of fruit intertwined with rich mocha, coffee and chocolate, with traces of licorice and toffee. Carnival of Love offers exceptional complexity while remaining balanced and delightful to drink." This was rated 95 points by Wine Spectator. The grapes for Carnival of Love are from the Gateway vineyard in McLaren Vale. It was aged in almost entirely new American oak. 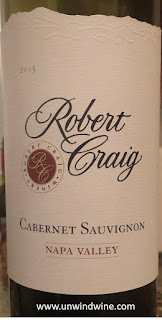 For dinner Alec prepared rib-eye steaks and brussel sprouts for which we picked up this Robert Craig Napa Valley Cabernet Sauvignon. This proved to be an ideal selection as a complement to the cheese and the steaks. I write this review with many mixed emotions. This is our first tasting of this new label of what was the inaugural release of what Craig called "the next generation of Napa Valley Cabernet Sauvignon from Robert Craig Winery". This label replaced Affinity as the entry point of the portfolio as explained by Craig website. "Our primary mission is to produce wines that feature pure site expression, and this new Cabernet Sauvignon bottling is no exception. Selected half from our estate vineyards, half from exceptional vineyards around the valley, we present this plush, beautifully structured wine, with the depth and power you expect from a Classic Napa Valley Cabernet. 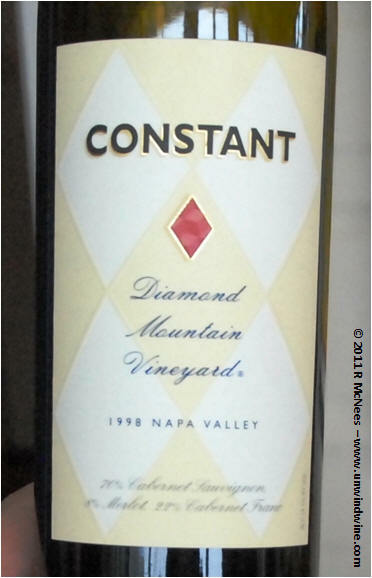 As Affinity moves to a single-vineyard bottling, this wine steps in to take its place in our portfolio." Of course we love Affinity and still hold around twenty vintages dating back the inaugural release back in 1993 as the Craig portfolio remains one of our largest holdings in our cellar. We've visited the Robert Craig Winery Estate high above Howell Mountain several times over the years including their release party back in 2009 (shown right). So Affinity will now be a single vineyard designated label sourced from the Robert Craig La Londe estate vineyard located just south of Stag’s Leap, in the Mt. George Foothills on the eastern side of the Napa Valley. The La Londe estate vineyard has been sourcing exceptional Cabernet Sauvignon for the Craig portfolio since Bob Craig purchased the property back in 1993. Affinity will continue to be a Bordeaux Blend of the Bordeaux varietals Cabernet Sauvignon, Merlot, Petit Verdot, Malbec and Cabernet Franc. I approached this wine with great anticipation as the new Craig standard. I must say I was pleased and found it reflecting the style and profile I have come to expect with the Robert Craig brand. Dark inky purple colored, medium full bodied, firm structured core of blackberry and black raspberry fruits with a layer of spice, hints of graphite mocha and lavender on a lingering supple smooth tannin laced finish. 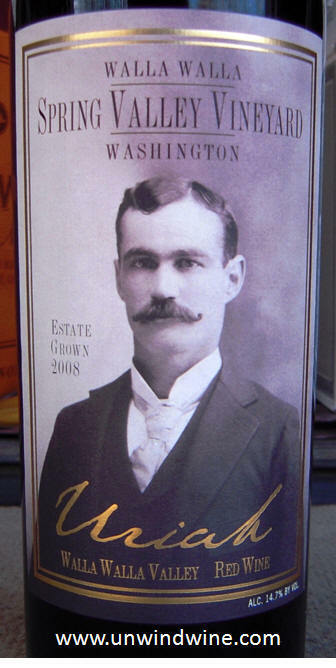 James Suckling gave this 92 Points and wrote, "Intense aromas of blueberry and blackberry. Hints of minerals. Full body, ultra-fine tannins and a fresh and clean finish. A firm and well-formed red with interest." Alec picked this up at the local wine shop as his 'go-to' red wine for such occasions. 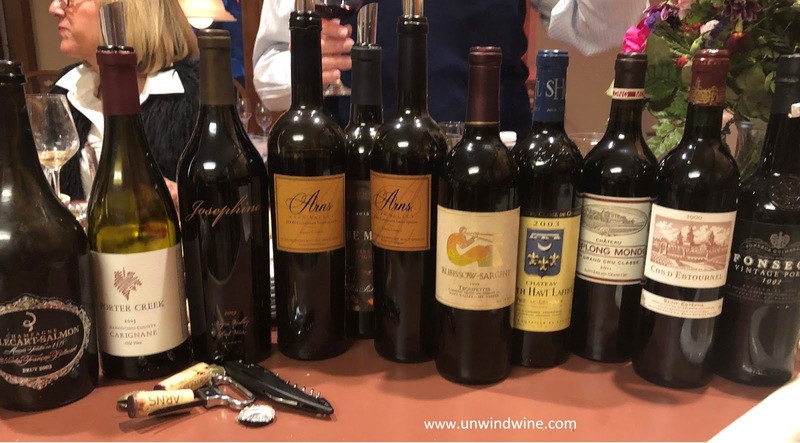 Winemaker's Notes: "The 2015 Napa Valley Cabernet Sauvignon is rich and dark, with an abundance of blackberry, cherry and dark plum alongside nuances of lifted violet, sweet cinnamon and clove spice. On the palate, the dark berry fruits proliferate with blackberry, plum and cassis, but there is also a beautiful savory quality exhibiting notes of leather, tobacco and earth, giving this Cabernet a classic old-world feel and elegance. Seamlessly integrated oak and refined tannins provide a smooth mouthfeel and add layers of complexity, all wrapping up with a spicy lengthy finish. Incredibly approachable and pleasing upon release, this wine is sure to dazzle and pair well alongside many culinary treats." This was dark garnet colored, medium bodied, full forward complex black berry, raspberry and cherry fruits with notes of graphite, cassis, tobacco, spice and leather with a graceful, smooth silky tannins on the lingering finish. The last Saturday night in February is the night set aside for OTBN - Open That Bottle Night. This marks the 20th Anniversary of the annual wine event that started at the Milenium. The event was invented by Wall Street Journal “Tastings” columnists Dorothy J. Gaiter and John Brecher. Open That Bottle Night has become a world-wide celebration for wine lovers and regular friends and family to share memories and use the occasion to finally drink that bottle of wine that has been set aside for an occasion that has not come, that was otherwise simply too special to open. So, on this special night set aside for such an occasion, pull and pop that bottle lest it ages beyond suitability. As is customary, we hosted the gala OTBN with our Pour Boys wine group. Bill and Beth returned from South Carolina for the occasion, Terry and Lyle and friend John, Dr Dan and Linda, Linda and I, and we were joined by son Ryan, and Pat and Rodger, visiting from Indy. As is custom, Linda prepared her classic beef tenderloin accompanied by haricot verts, scalloped potatoes, grilled carrots and brussel sprouts. Prior to dinner we served shrimp cocktail, and a broad selection of artisan cheeses shown left, sans John's legendary 21 year old vintage sharp cheddar which had not yet arrived when this early evening photo was taken. After dinner deserts consisted of Linda's chocolate cake, Dan's chocolate cake, and Terry's legendary orange cake. 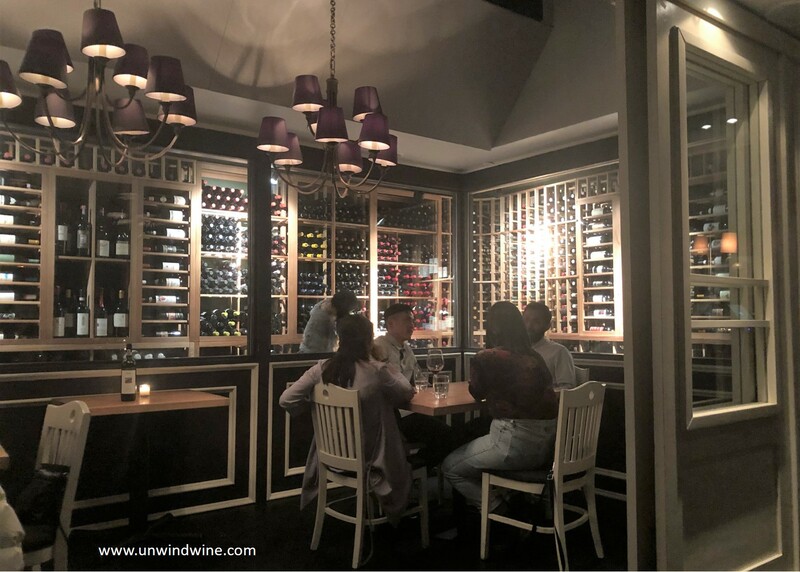 Our wine flight selection started with vintage Champagne, a selection of whites and a broad selection of red wines - Sonoma Carignane, a selection of Napa Cabernets, Bordeaux, and a vintage port for the desert course. We followed our usual Pour Boys wine flight ritual of tasting the various wines and setting the tasting order of the flight from lighter to heavier. Much of the fun is the ceremonial opening and tasting of the wines to determine the appropriate tasting order for the evening, aligned to the comparative courses and accompaniments. The flight is listed below in tasting order. The evening started with this vintage champagne that John procured for the occasion. This is a classic selection considered one of the greatest wines of a great vintage. 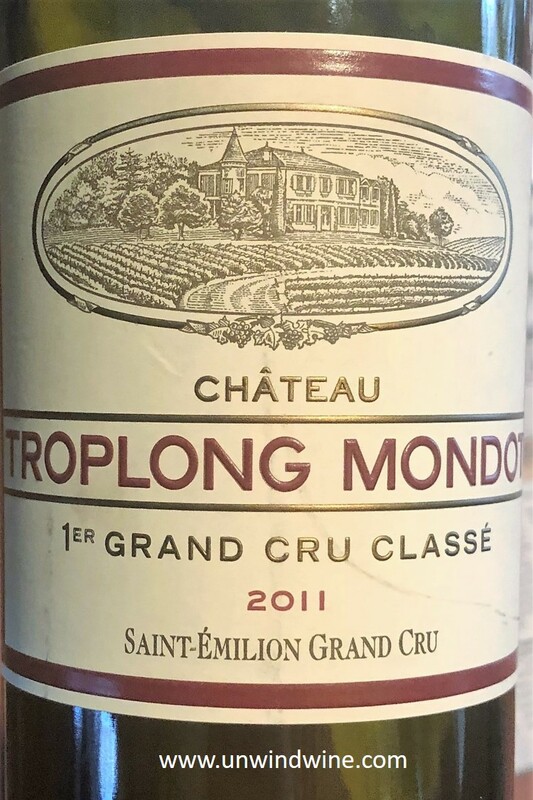 It was awarded 98 points by Decanter magazine and James Suckling, 96 points from Wine Enthusiast, and 95 points by Robert Parker and Wine Spectator. This is a blend of 60% Pinot Noir (from premier and grand crus of the Montagne de Reims and the Grande Vallée de la Marne) and 40% Chardonnay (from the Côte des Blancs), with 20% vinified in oak barrels. The 2002 Cuvée Nicolas-François ... looks likely to be one of the top recent vintages of this bottling. 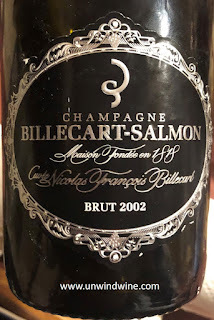 The wine offers up scents of green apple, quince, stony minerality, fresh pineapple, a touch of nutmeg and bread dough ...deep, full-bodied, crisp and quite tightly-knit, with a good core of fruit, fine mousse and very good grip on the focused and long finish. 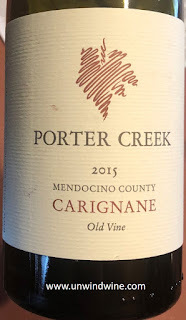 Dan and Linda brought a Porter Creek Carignane which we all discovered and acquired during our visit there when we stopped into Porter Creek vineyards and winery during our tour of the backroads of the Russian River Valley back in 2017. 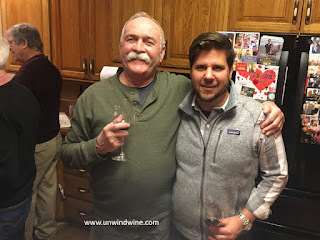 Ironically, the tasting room wine director was from our native alma mater city Bloomington, Indiana, so it was fitting opening for us and visiting Hoosiers Pat and Rodger. This is from Alex Davis, Winemaker, Vineyard Manager, Business manager, Owner and reluctant “boss” at Porter Creek Vineyards. He started his wine career at Sonoma Cutrer where he met Monsieur Feuillat, director of the Oenologie program at the Université de Bourgogne in Dijon France. Monsieur Feuillat connected Alex with Christophe Roumier, considered one of the greatest winemakers in Burgundy. Alex studied and worked there learning from the master. At the Université de Bourgogne, Alex studied Viticulture and Enology and worked the harvest in Burgundy working the Chardonnay with the Michelot-Mestre families in Meursault. 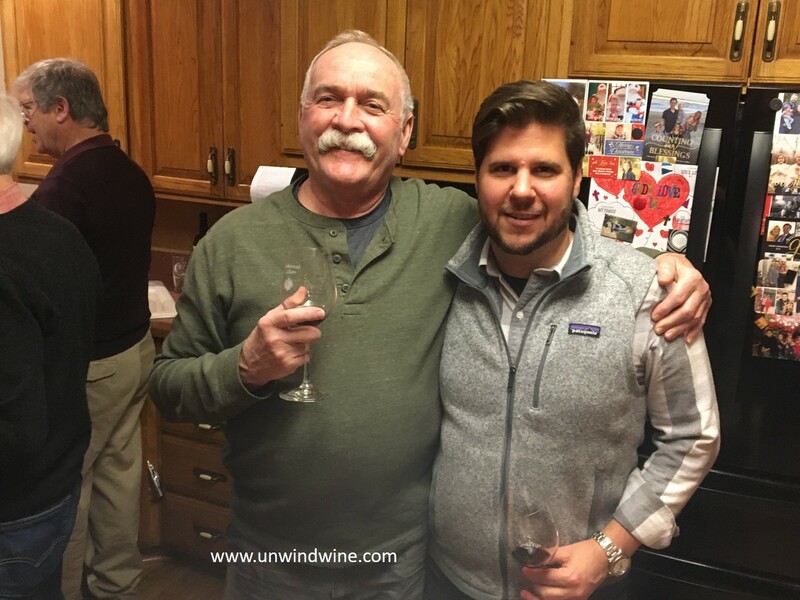 In Dijon, Alex met Philippe Guigal from the northern Rhone Valley, and worked a harvest season with his family at Domain E. Guigal as their first foreign intern. In France Alex learned the craft working with Burgundian and Rhone varietals. 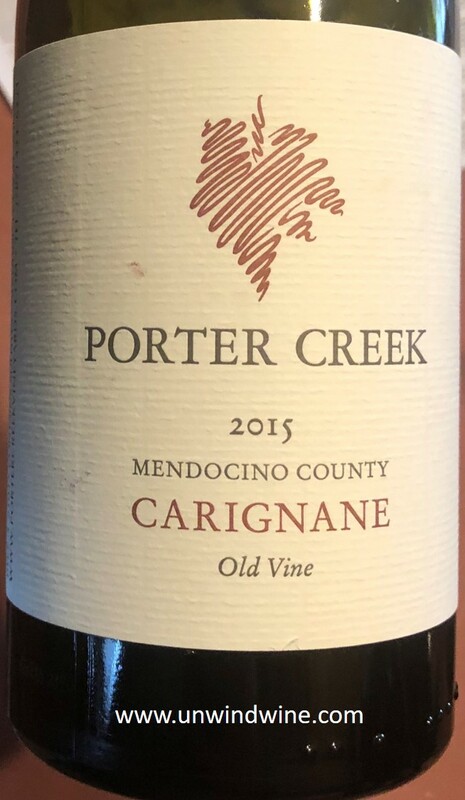 Carignane is a red varietal from the Rhone Valley that was widely planted in California during the late 1800’s though the mid- 1900’s, mostly by Italian immigrants. Some of those old vineyards are still producing including the source for this label from a vineyard up in Mendocino County planted in 1939, hence the "Old Vine" designation on the label. Garnet colored, medium bodied, fruits of black cherry black currants and plums with hints of spice, pepper, tree bark and smoke. To augment our Porter Creek tasting I pulled their Chardonnay that we also acquired during that visit. Pat Rodger brought this bottle which was the feature wine at the regular eatery from their recent trip to Steamboat Springs, Colorado. Garnet colored, medium bodied, black and blue berry fruits, notes of mocha, expresso and hint of graphite and smoke on the bright lively acidic finish. 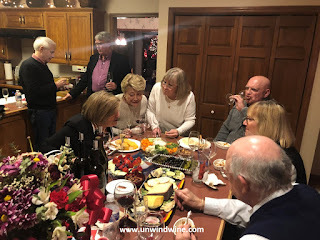 Jeb Dunnuck's review of this wine: "The 2014 Cabernet Sauvignon was brought up in a mix of French and American oak and is 79% Cabernet Sauvignon, 14% Syrah, 3% of Petite Sirah and Malbec, and 1% Petite Verdot. It sports a ruby color as well as notes of currants, spice-box and cedar, medium-bodied richness, polished tannin and solid balance/elegance. Drink it over the coming 3-5 years. (JebDunnuck.com)"
Lyle brought this from his cellar. This received 93 points from James Suckling, 92 points Wine Spectator, 91 points Robert Parker's Wine Advocate and Stephen Tanzer. This is another wine of which we hold numerous vintages of along with fellow Pessac Leognan Domain Chevalier and that we've tasted at several of the UGCB events. Garnet colored, medium full bodied, blackberry and plum fruits with notes of tobacco, earth spice and cassis. "Full bodied, dark garnet colored, this was full bodied, a bit tight and firm with black berry and black currant fruits, lead pencil, licorice, cigar box, herbs and cedar. This comes across with a bit of a woody almost slight green grassy taste that I can't get over. This was consistent with other tastings and other vintages of this wine. My experience isn't consistent with other's tastings and ratings." RM 89 points. We tasted and acquired vintages of this wine with Bill and Beth during our Mt Veeder Napa Valley Wine Experience visit to the estate and winery high atop Mt Veeder back in 2011. We were hosted by and had the pleasure to meet founder and proprietor George Rubissow. This label dates back to the early days and the partnership between George and winemaker Tony Sargent. The fruit was grown on the estate high atop Mt Veeder in southwest Napa Valley and the wine was produced at the winery down in Berkeley. Bill brought this vintage label from his cellar. At eighteen years old, this was drinking well and showing no diminution from age, albeit not likely to improve with any further aging. This is a blend of 65% Cabernet Franc, and 35% Merlot. "In 1999 we harvested most all the Cabernet Franc and Merlot vineyards in the middle of the night! The goal was to deliver night-cooled fruit to the winery for early morning crushing, thus avoiding ‘cooking’ the grapes in the baking-hot Napa Valley sun." Ryan came by and brought this Arns 2000, so I pulled a 2001 vintage release as a mini-vertical comparison tasting. Very fitting for tasting since Bill and Beth were with us when we visited the Arn's estate during our Napa Valley Wine Experience back in 2013. 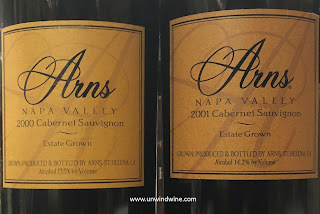 Arns is a very small family-run winery just outside of St. Helena. They specialize in high-quality, estate-grown Cabernet Sauvignon. Sandi Belcher and John Arns have been making wine in the Napa Valley for over 25 years. 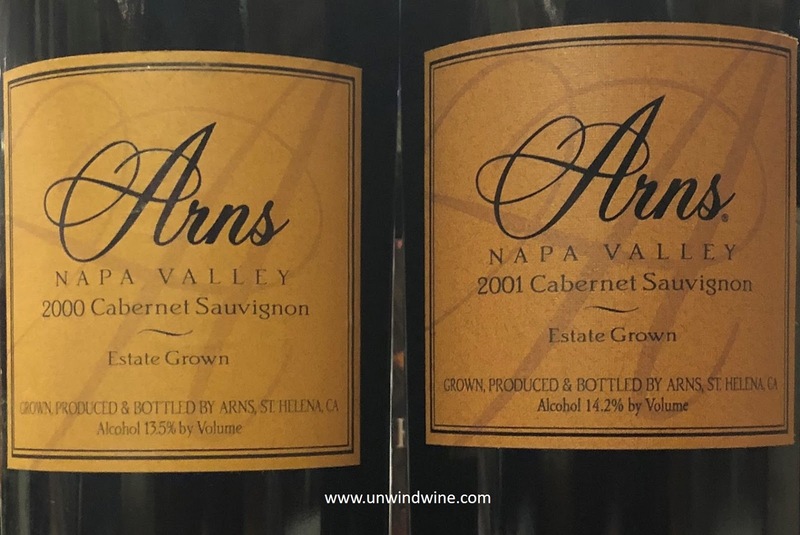 From the winery: "Arns Winery is located on the hillside east of the historic City of St. Helena, California, in the heart of the Napa Valley. The 160-acre parcel sits at an elevation of 800 feet above the valley floor and below the Howell Mountain Appellation. The soil for the ten acre all-Cabernet vineyard is red aiken loam, which was planted in the mid-to-late 1960s. Arn's wines represent selections from ten different blocks, with clones from Bordeaux and the Napa Valley. The vines consist of up to 2,900 plants/acre trained in a vertical shoot positioning." Tannins softer than I anticipated; medium in body, but with finesse like a Julia Roberts, not to old, not too young, just a touch of attitude and refined. Not real big on the fruit either. balanced. Dan brought this right bank Bordeaux that we tasted during the producer's release unveiling at the UGC Bordeaux US Release Tasting Events in Chicago. Robert Parker cited this as one of the "superstars of the vintage". This is a blend was 89% Merlot, 9% Cabernet Sauvignon and 2% Cabernet Franc. 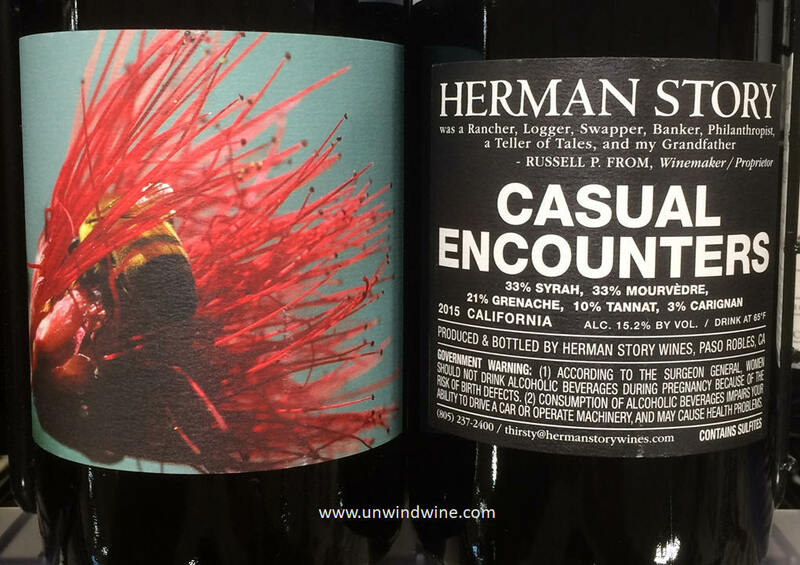 This received 95 points from Robert Parker's Wine Advocate, 94 points Jeb Dunnuck, 93 points James Suckling and Wine Enthusiast, and 92 points from Wine Spectator. 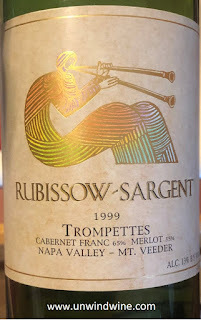 This was opaque blue/purple, nearly black color, medium full bodied and featured black raspberries, blackberries accented by note of licorice, camphor, what Parker and Jeff Dannuck call 'forest floor' and hints of leather, tobacco leaf and touch of peppar. 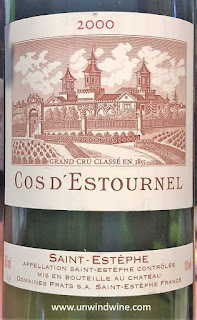 John brought this notable producer, Cos d'Estournel Left Bank Saint-Estèphe, Bordeaux, from the classic 2000 vintage. This was rated 96 points by Robert Parker's Wine Advocate, 94 points Wine Enthusiast, 93 points James Suckling and 92 points by Wine Spectator. Dark garnet colored, medium full bodied with ripe tannins, this had firm but approachable structure with dense black berry fruits, notes of graphite, expresso, leather, tobacco leaf and hints of dark mocha with a supple finish. Bill brought this classic Jospehine, the flagship of the legendary Freemark Abbey portfolio. 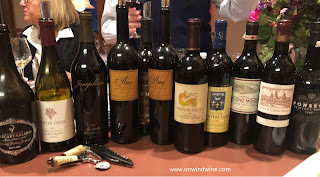 We've had much fun tasting Freemark Abbey cabernets spanning the last three decades together, culminating in our visit to the library cellar at the historic Estate with Wine Director Barry Dodds during our Napa Valley Wine Experience in 2009 (shown right). 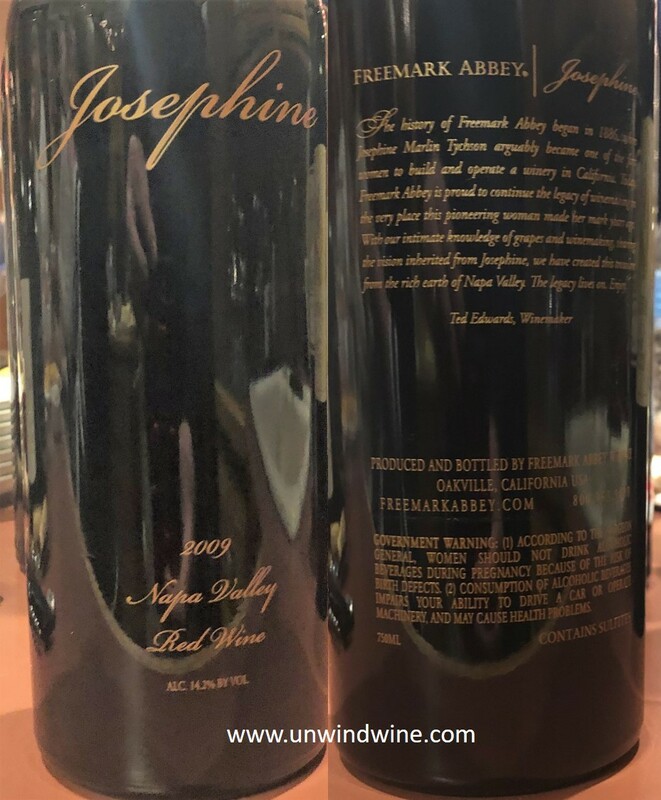 This is the signature Freemark Abbey wine, named for Josephine Tychson the founder and matriarch who built and operated the original cellar on the estate back in 1886. She cultivated the land and became the first female winemaker on record in Napa Valley. She sold the property to Antonio Forni who constructed the historic winery in 1887 using stones from nearby Glass Mountain. That winery is the one that still stands to this day at the site on Highway 29 just north of the town of St Helena on the route to Calistoga. Josephine is blended from the most select grapes from the range of Freemark Abbey vineyard sites - the Ahern Vineyard, Van Z Vineyard and Estate Freemark Abbey Vineyards in St. Helena, and the York Creek and Yverdon Vineyards from nearby Spring Mountain. Bill's tasting notes for this evening: "Deep garnet color in the glass. Full of bright cherry, raspberry and a hint of cola on the palate. Full bodied with a medium finish. We struggled to sequence this in an OTBN lineup consisting of a couple of Napa cabernets and several classified Bordeaux. We ended up positioning this just before a 2000 Cos d’Estournel at the end of the lineup. Despite the length of the drinking window on Josephine, I think this is better when consumed earlier." He gave it 92 points. We finished the evening with this classic vintage port that Lyle brought from his cellar, which has become somewhat of the custom of our OTBN events when he brings a such a wine. This selection from this classic vintage was rated 97 points by Robert Parker's Wine Advocate. It got 94 points from Wine Spectator. Dark inky black/purple in color, full bodied, rich, thick, unctuously-textured, concentrated jammy black fruits with earthy fig notes and tones of licorice, chocolate, and spices.